Jul 30, 2017 – HURRICANE MILLS, Tenn. 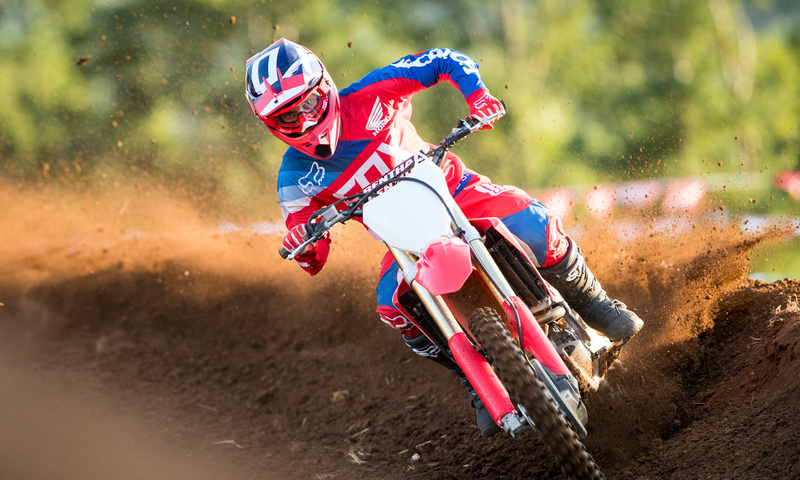 In a special unveiling event with top Honda amateur motocrossers during the AMA Amateur National Motocross Championship at Loretta Lynn’s Ranch, American Honda unveiled the all-new 2018 CRF250R. Designed and developed following the same “Absolute Holeshot” philosophy as the CRF450R, the highly anticipated motocross model features a host of updates aimed at achieving maximum power and optimum handling. In order to achieve their powerplant development goal of increased power (particularly at higher revs), engineers gave the 249cc engine an all-new dual-overhead-cam design, using a finger rocker arm with Diamond Like Coating (DLC). The titanium intake and exhaust valves are larger and have a higher lift and narrower angle, while the valve springs’ coils now have an oval cross-section to keep engine height as low as possible. 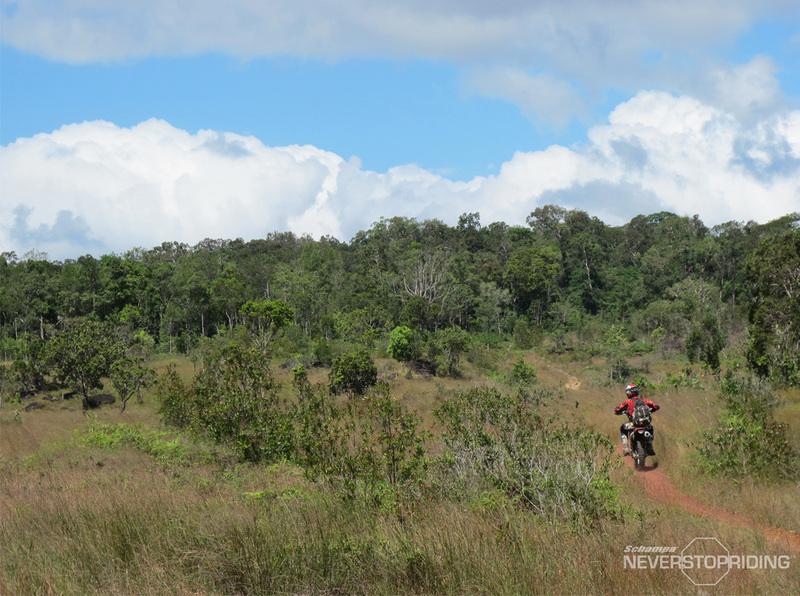 The engine has more over-square dimensions, the cylinder offset has been increased, and the piston now features a bridge-box design–a first for a production Honda motocrosser. The intake system is now of a downdraft design for maximum efficiency, there are twin exhaust ports, and the dual exhaust features smoother routing and optimized pipe length. An electric starter is standard, powered by a small, lightweight lithium-iron phosphate battery. The end result of the copious changes is an engine with more power across the rev range, especially impressive at peak rpm. 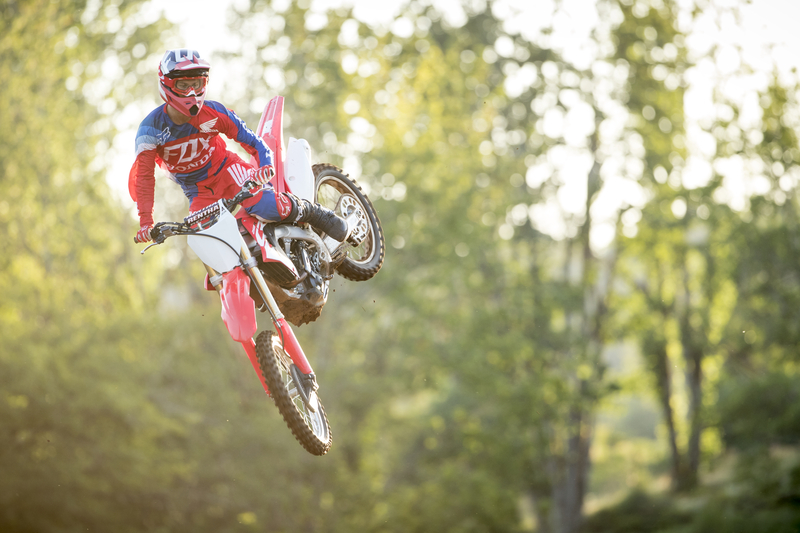 As a result of the engine and chassis updates, the 2018 CRF250R enjoys a three- percent improvement in start performance compared to its predecessor, along with improved acceleration and handling.